Stretching and twisting muscles are signs of involuntary muscle contractions. These brutal and painful contractions often occur during a rest. Especially during the night or after a physical activity. 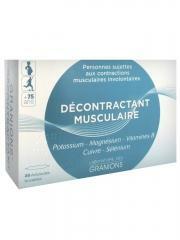 These muscular contractions are caused by an imbalance of trace elements, vitamins and minerals in the body. 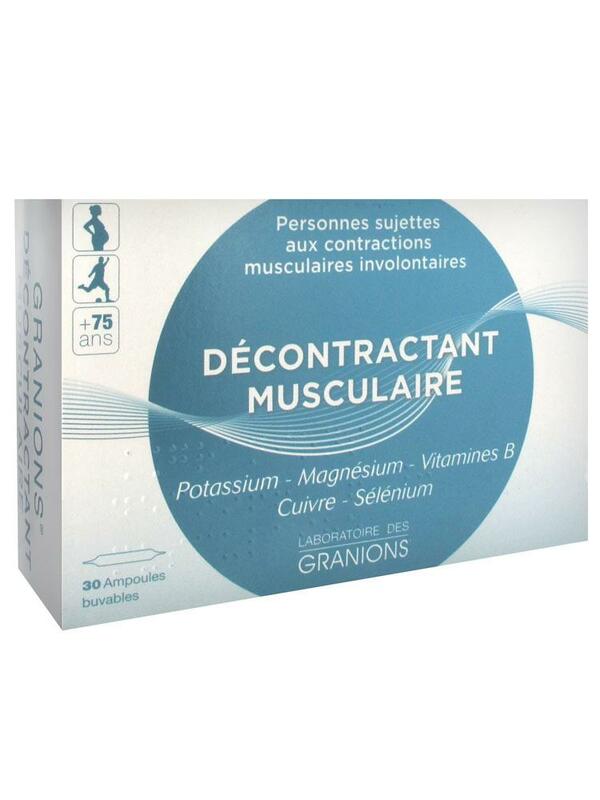 Granions Muscle Relaxant 30 Phials allows a good muscular action during the night, during the pregnancy, by athletes, teenagers and old people. Potassium contributes to the neuro-muscular action in a significant way. Group B vitamins, copper and magnesium are essential to the good muscular action. Selenium is a natural anti-oxidative. If this one is not sufficient in the body, it can lead to a muscular weakness. Oral track, take 2 phials per day only with one intake, dilute it in a glass of water, preferably apart from meals. Eau Purifiée, Minéraux : Acétate de Magnésium, Citrate de Potassium, Gluconate de Cuivre, Sélénite de Sodium, Conservateurs : Sorbate de Potassium, Benzoate de Sodium, Vitamines : B1, B6, B12, Edulcorant : Sucralose, Arôme, Épaississant : Glycérine, Agent Colloïdal : Amylose.